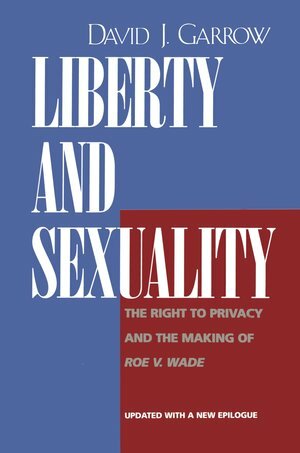 Liberty and Sexuality is a definitive account of the legal and political struggles that created the right to privacy and won constitutional protection for a woman's right to choose abortion. Roe v. Wade, the landmark 1973 U.S. Supreme Court ruling that established that right, grew out of not only efforts to legalize abortion but also out of earlier battles against statutes that criminalized birth control. When the U.S. Supreme Court in 1965, in Griswold v. Connecticut, voided such a prohibition as an outrageous intrusion upon marital privacy, it opened a previously unimagined constitutional door: the opportunity to argue that a woman's access to a safe, legal abortion was also a fundamental constitutional right. Garrow's essential history details both the unheralded contributions of the young lawyers who filed America's first abortion rights cases and also the inside-the-Supreme Court deliberations that produced Roe v. Wade. In this updated and expanded paperback edition, Garrow also traces the post-Roe evolution of abortion rights battles and the wider struggle for sexual privacy up through the 25th anniversary of Roe in early 1998. David J. Garrow is Presidential Distinguished Professor at Emory University's School of Law. He received the Pulitzer Prize and the Robert F. Kennedy Award for his biography of Martin Luther King, Bearing the Cross (1986). His earlier books include The FBI and Martin Luther King, Jr. (1981) and Protest at Selma (1978).